It came as a shock to WhatsApp plus users when osmdroid who happened to be the developer of WhatsApp plus announced on his website that there won't be further updates for all it users. This announcement came up few days after WhatsApp banned most of its users. Many WhatsApp plus users went back to the stock WhatsApp because of the new features while some stayed. Osmdroid decided to surprise all WhatsApp + users on valentine's day with a new version of WhatsApp plus with call feature and the WhatsApp web. ==> Reporting is back you can now report any bug. ==>Themes are working though the server is slow so you have to wait. ==> Download WhatsApp + 1.43 HERE. ==> Make sure you have a working WhatsApp. ==> If you have backed up your chat earlier then there should be RESTORE BUTTON , just click on it. >> Re-Install WhatsApp+ and you should get RESTORE button. >> That's all. You’ve just successfully installed WhatsApp+ . >> download and install titanium backup from playstore. >> launch titanium backup >> click on WhatsApp>> Then backup. >> open titanium backup and select WhatsApp plus. >> select restore and choose data only. 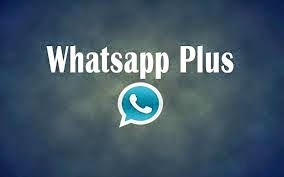 >> now you can open your WhatsApp plus. For those who already have WhatsApp + on their device, simply download the latest version and update. If you get any "conflicting signature" error when trying to install WhatsApp plus. Check out this LINK for solution. If you have any questions you can drop it in the comment box. The call feature is currently not available for most WhatsApp users.